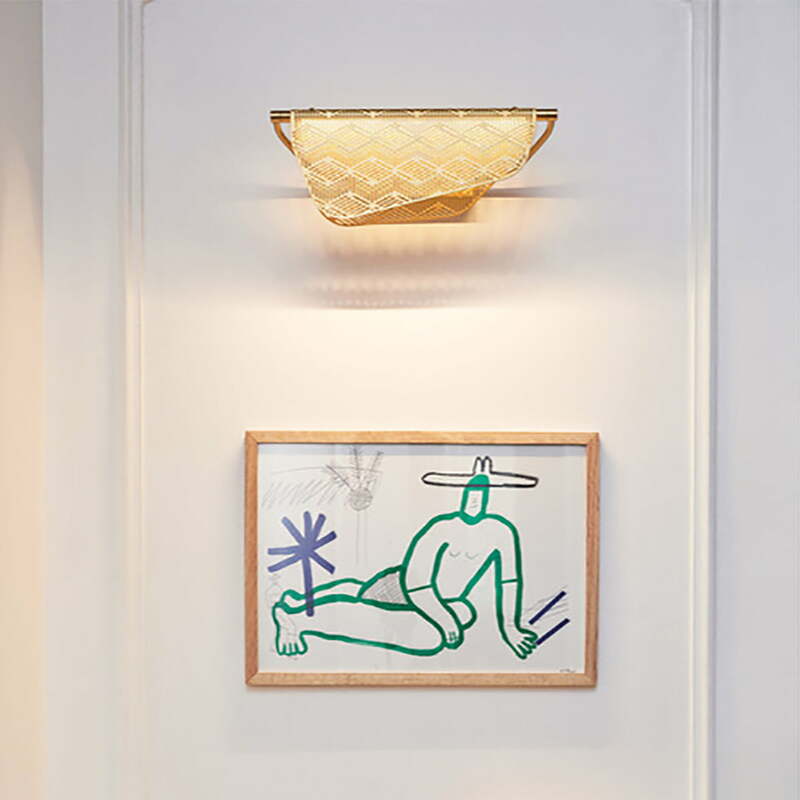 The Mediterranea LED wall lamp from Petite Friture is characterised by its airy, light yet elegant appearance. The shade of the wall lamp is made of brass and has a fine perforation, which ensures a great play of light and shadow on the wall. 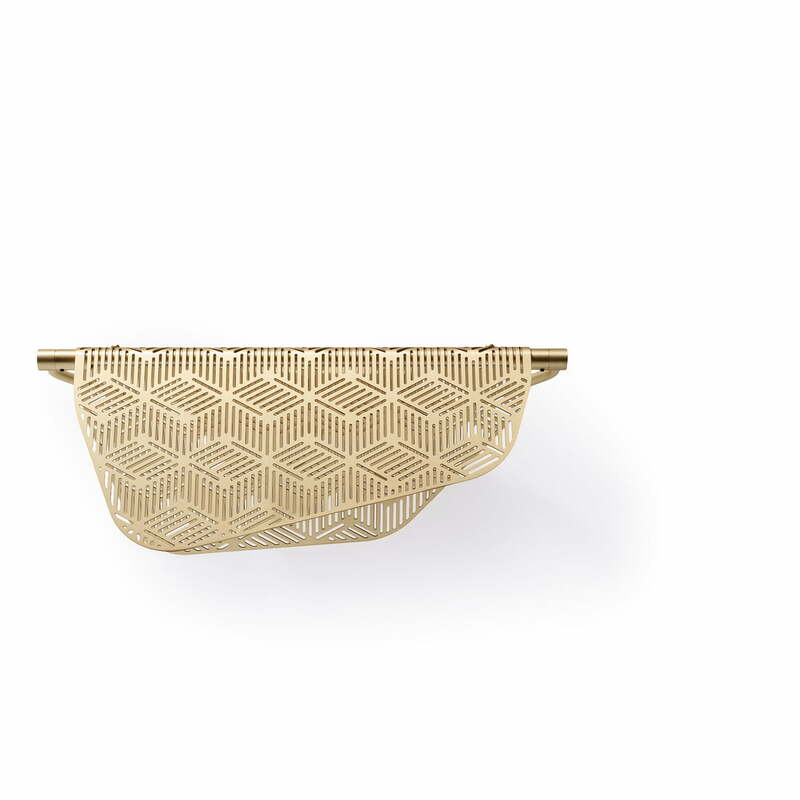 Like a cloth, the metal mesh lies over the filigree brass base. The designer Noé Duchaufour-Lawrance was inspired by hanging linen, which can often be found in front of windows or on balconies in Mediterranean countries. The LED wall luminaire makes an excellent choice individually or hung in a row in the hallway, but can also be used as a night light next to the bed or background lighting in the living room. Made of brass, the luminaire sets shiny accents and blends wonderfully into any ambience. 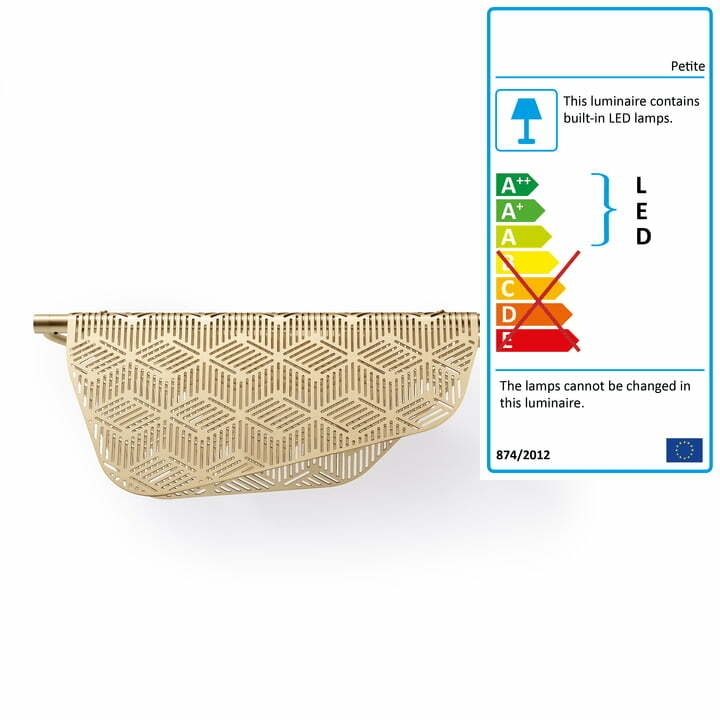 Mediterranea LED wall lamp by Petite Friture in single view. The Mediterranea LED wall lamp by Noé Duchaufour-Lawrance for Petite Friture is characterised by its airy, light yet elegant appearance. Mediterranea LED wall light from Petite Friture in the ambience view. The LED wall luminaire makes an excellent choice individually or hung in a row in the hallway, but can also be used as a night light next to the bed or background lighting in the living room.